The Knock Golf Club moved to it’s present location in 1920 and retained the services of world renowned course architects Harry Colt and Dr. Alistair McKenzie to layout what is one of the best Par 70 courses in the country. Measuring 6,428 yards with a standard scratch of 71 off the white tees it is a true test of golf. Christy O’Connor "Himself" won his first important Tournament here when he captured the Ulster Professional title in 1953. As testament to the quality of The Knock Ernie Jones captured the Irish Professional Championship with a score of one under and four years later Christy Green won the same title with a score of two over. The course has a wonderful variety of large and small trees, with many deep bunkers and a river coming into play in front of the 8th and 18th greens. The 453, yard Par-4 sixth is considered to be one of the best holes on the course. The hole features what is reputed to be the oldest araucaria "Monkey-Puzzle" in the British Isles, said to be over 100 years old it stands at over 70 feet tall and is still thriving. This hole is particularly attractive in the spring when the Cherry Blossoms are in full bloom. The Knock Golf Club has produced many fine golfers but none more famous than Clare Robinson (nee Nesibtt) who dominated Ladies golf in the 70’s and played on the Curtis Cup at Chepstow in 1976. 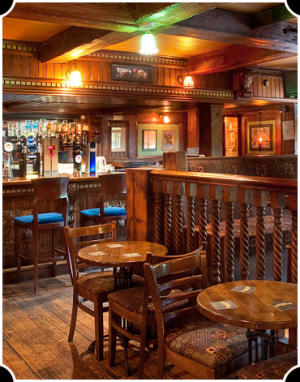 The Knock Golf Club has a very fine clubhouse that caters for the golfers every need. The visitor is extended a warm welcome here and a memorable game of golf. Knock Golf Club won the Ulster Final of the Irish Senior Cup at Portstewart Golf Club in 2015, when they beat Castlerock Golf Club by 3½-matches to 1½-matches in the Semi-Final and accounted for Lurgan Golf Club by 4-matches to 1-match in the Ulster decider. They made their way to Carton House to compete in the All-Ireland deciders, where they were drawn against Munster Champions Limerick Golf Club in the All-Ireland Semi-Final. First on the tee was Michael Sinclair lost his match against Pat Murray by 1-hole, he was followed by Colin Fairweather who had a 1-hole win over Sean Poucher 1 hole, next up was James Patterson who recorded a 3 and 2 win over Michael O'Kelly, in the penultimate match Mark McMurray beat Darragh Fitzgerald by 2 and 1, the bottom match was recorded as a halve of Simon Miskelly against Justin Kehoe. They met Leinster Champions Maynooth University in the All-Ireland Final on the Saturday morning in what was a very close match only lost by the minimum margin of 1-hole in the 4th match. First on the tee again was Michael Sinclair who lost his match against Ronan Mullarney by 3 and 2, he was followed by Colin Fairweather who had a very comfortable 5 and 4 win over Kyle McCarron, in the middle match James Patterson had a 1-hole win over Stephen Kinch, in the penultimate match Mark McMurray went down to Jake Whelan on the 18th, in the bottom match Simon Miskelly lost by 4 and 3 against Jack Walsh. Knock Golf Club won the Ulster Championship of the Irish Senior Cup in 2006, when they beat Castlerock Golf Club on their home course by 3 and half matches to 1 and half matches on Sunday the 20th August . Knock Golf Club won the Belfast & District Cup in 2006, when they beat Banbridge by 7 and a halve matches to 6 and a halve matches. Michael Sinclair was selected on the Ulster team for the Interprovincial Matches played at Portmarnock Golf Club from 11th to 13th August 2004. Michael, was then selected to play in the Home Internationals at Prestwick Golf Club from 8th to 10th September 2004. Joanne Black was selected on the Ulster ILGU Team for the Interprovincial's. Played at Ballybunion Golf Club from 18th to 20th August 2004. Joanne Black was selected on the Ulster Ladies team for the AIB Interprovincial’s at the Island Golf Club on the 8th to 10th August 2001. Knock won the All-Ireland Final Irish Junior Cup at The Royal Dublin G. C. in 1968. C. J. McMullan represented Ireland as a Senior International from 1933 to1935 playing 19-times won 10-matches halved three and lost 6-matches accumulating 23-points;. At a meeting held in the lecture hall adjoining Dundelea Presbyterian Church, in December 1894, the Knock golf club was formed. Dr. King-Kerr was in the chair and the meeting was told that the ground could be leased for £77 per annum. 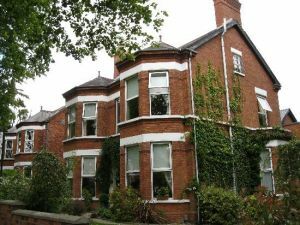 The course could be laid out at a cost of £26, according to G. L. Bailey, a founder member of the Royal Belfast Golf Club. Mr. Peddie proposed and was seconded by Mr. Buchanan, that the club should be formed. The first committee was Dr. King Kerr, Messrs. Todd, Peddie, Malcolm and Buchanan, who were charged with negotiating the rent of the land and drafting the rules. The first Captain was Mr. R. Webb, and Hon. Secretary was Dr. King-Kerr. The "Irish Golfer" on the 14th February, 1990, documents " The opening ceremony of the club was a memorable one as it was the largest gathering of golfers ever held at a function of this kind in Ireland. 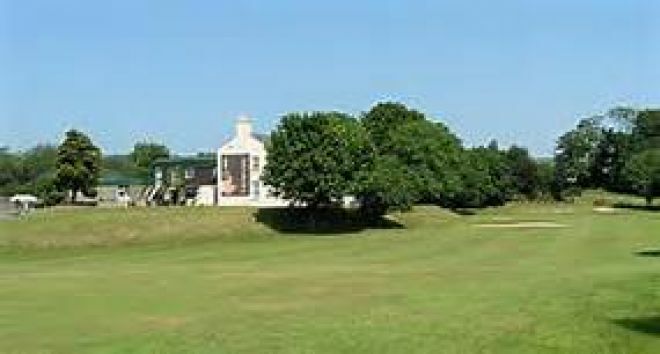 The club’s enjoyment of this pretty course was not of long duration, for in less than three years the committee was compelled to prospect for pastures new, owing to the ground being taken for building purposes. 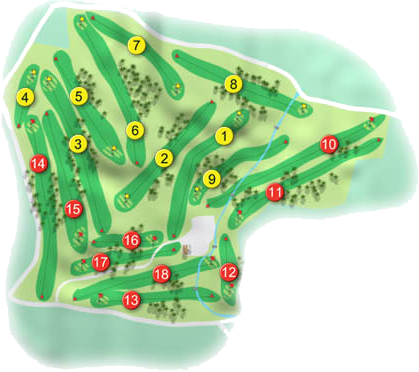 The new course was leased in Shandon Park, beneath a hill called Knock. This was a wooded area for nine-holes, but soon became too small. So in 1920 the club moved to its present site at Dondonald. This was a family estate called "Summerfield" and world famous architects, Colt, Allison, and McKenzie were employed to turn it into a golf course.